* To be officially approved at the first parent meeting in September. Photos to be updated soon! 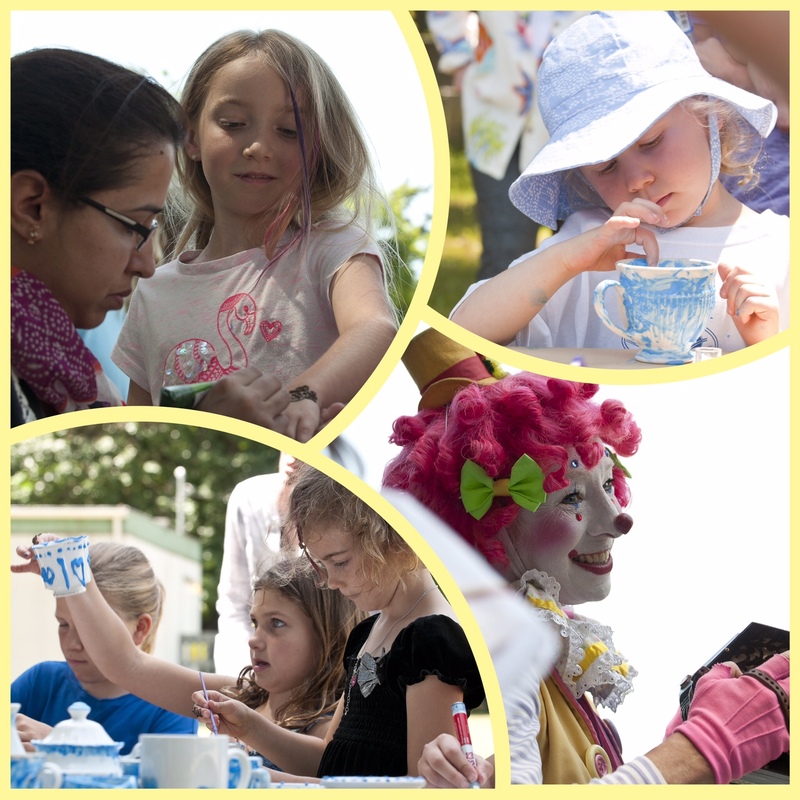 Thank you to all our parent volunteers, past and present….you do so much to make the good stuff happen. We couldn’t do this without you! Thank you to our amazing parent community for another wonderful school year. 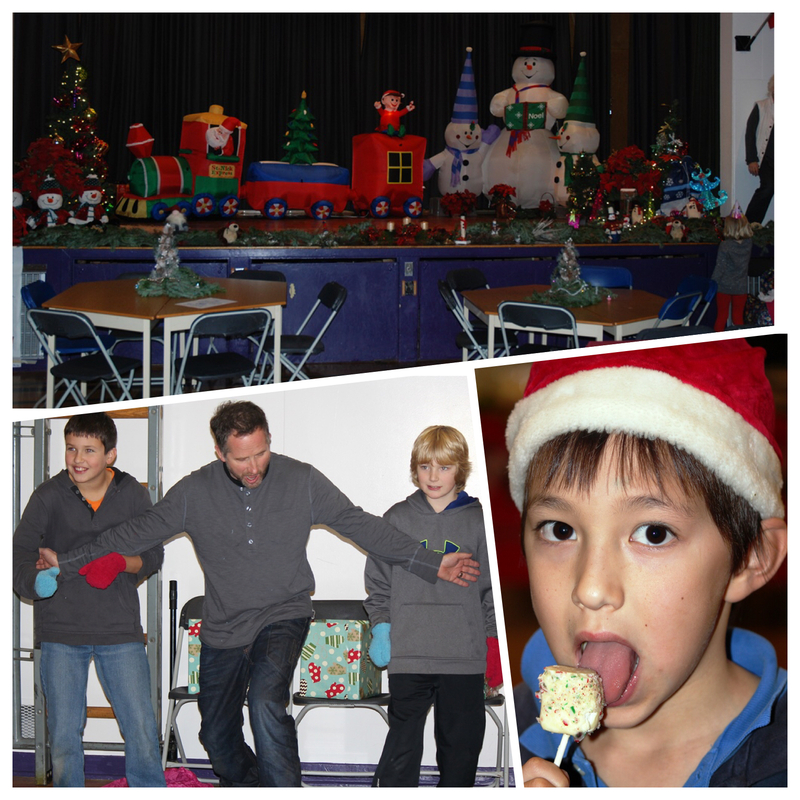 Winterfest was a resounding success, bringing families together for a fun filled event in the winter months, as well as the fantastic night of magic of course – thank you to everyone who was able to come out, and of course those who volunteered (including the Mount Doug students!) to make these events a reality for us all to enjoy. The teacher appreciation meal was appreciated by all the staff – so great to be able to help the staff in May with a token of our appreciation and we are very grateful of all the support that went on behind the scenes to make this special lunch take place. Check out the events links on this website for photographs and a more detailed write up of what went on at the school this year. A special thanks to our dedicated volunteers for the lunch, popcorn and booster juice deliveries, which enabled each teacher to have over $400 to spend in their own classrooms. Parent direct donations in May and June this year, helped to raise $3,870 for new Ipads. At our AGM in May 2016, we committed an additional $11,130 for Ipads, bringing the total up to $15,000 for new Ipads in 2016. This year we received $360 in donations from Finn and Izzy and over $3,100 from Peppers. The PAC money has supported teacher classroom expenses, art, dance, chess, tennis, badminton, field trip transportation, science and a grade 5 graduation event as well as replenishing school emergency supplies. In addition to amazing support from our volunteers and partners throughout the year, we’ve also had some generous parent donations, specifically for the playground replacement program. Next school year, we will start work again on the playground renewal project…it will be an exciting year indeed! What a great year at Frank Hobbs! It’s been a busy year at the school – we had a late start, with the teacher’s strike impacting on the start date back in September, and we all (parents and teachers alike) literally ‘hit the ground running’! This has been my first year volunteering at the school in this role and I have really enjoyed seeing families and our school community really come together. I have had more opportunity to witness, and can now truly appreciate all the hard work that takes place behind-the-scenes, talking to our lunch co-ordinators, the volunteers that run the fruit and vegetable program, seeing the efficiency of popcorn deliveries and the many extra-curricular programs at the school. I am even more inspired and amazed when I think about the fantastic community we have here at our school. The online ordering system has been a great success overall, with just two glitches in ordering for the whole year! Many co-ordinators and parents have remarked on how much time this system has saved them. Thanks to our website co-ordinator Greg Goforth for developing this further and working to introduce a PayPal option for payment also for the coming 2015-16 school year. I’m excited to report that we have some new volunteers coming on board to help with the online ordering for next year. Lora Carroll will be helping with online enquiries and Melissa Payne will be working to ensure orders for lunches and snacks are placed with the vendors at the appropriate time throughout the year. It’s been a busy year for events and also for the behind-the-scenes planning and facilitation. Kellie Horler and Brenda Mercer have both been instrumental in helping to fill the gaps too – with planning the raffle, getting price quotes for supplies and being ‘hands on’ too at events. 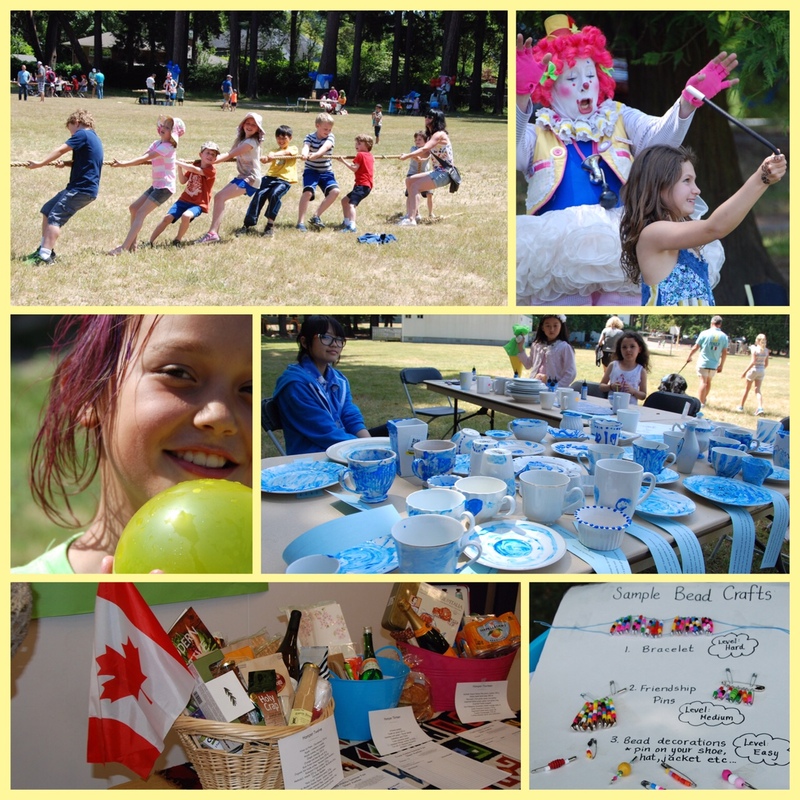 We’ve had three movie nights, Winterfest, a family dance and a summer fair too – thanks to everyone who was able to attend or contribute in some way to one or more of the events at the school. We had three movie nights this year, and, as well as the movie choice, each have been slightly different from each other, as we have learned lessons with what worked each evening. The first was the noisiest and brightest, with popcorn sales being held in the gymnasium itself and the back lights left on for the first part of the movie. The next saw concessions moved to the hallway and the lights dimmed before the movie. The final movie night we were able to get the pre-movie slideshow working properly (thanks to Stephen Foster and a creative group of student volunteers) and all the plans came together – we’re taking notes as we go! Our teacher Mr Walasek kindly offered his technical expertise to assist us with the projector set up in the gymnasium – a true collaborative project. 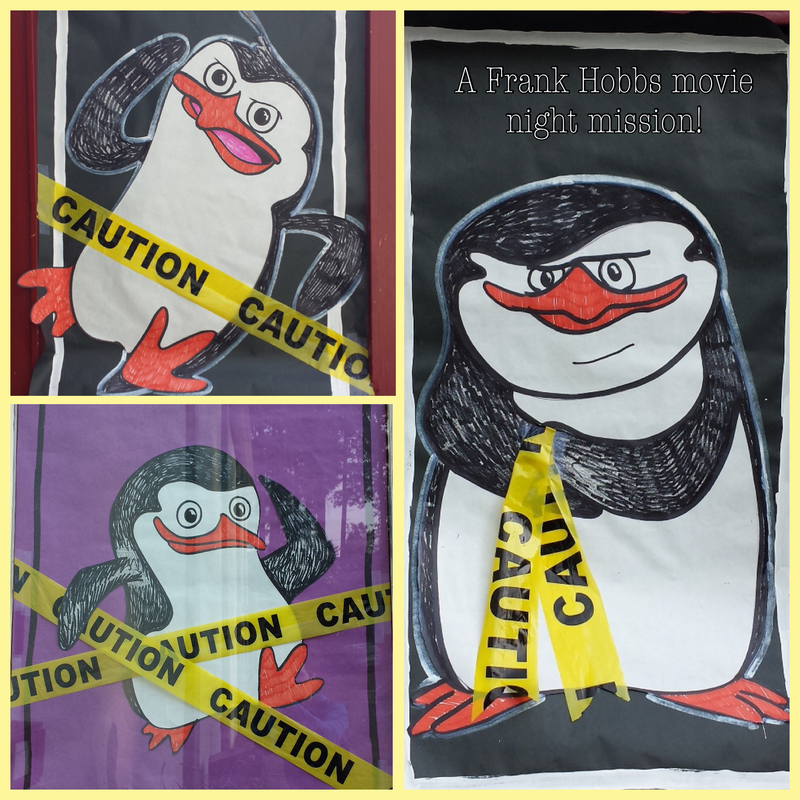 Next year we have just one movie night scheduled for October which will be the first school event of the year. Winterfest was a really big event in December this year, with the Mount Doug students coming along to help with live music and staffing the various stations on the evening. The bake sale saw contributions from almost 70 parents and was hugely successful, and Tricia Schaddelee provided some lovely crafts for the evening. Ice fishing was a new addition which turned out to be a huge success. Along with the bingo and ‘indoor ice skating’ games, our students had plenty to keep them entertained throughout the evening. Barb Elson and Catherine Musgrove worked with a team of enthusiastic volunteers to set the stage for the evening. Artwork from our talented in-house parent artist Nicola Deshaw also helped add the finishing touches to a magical scene. 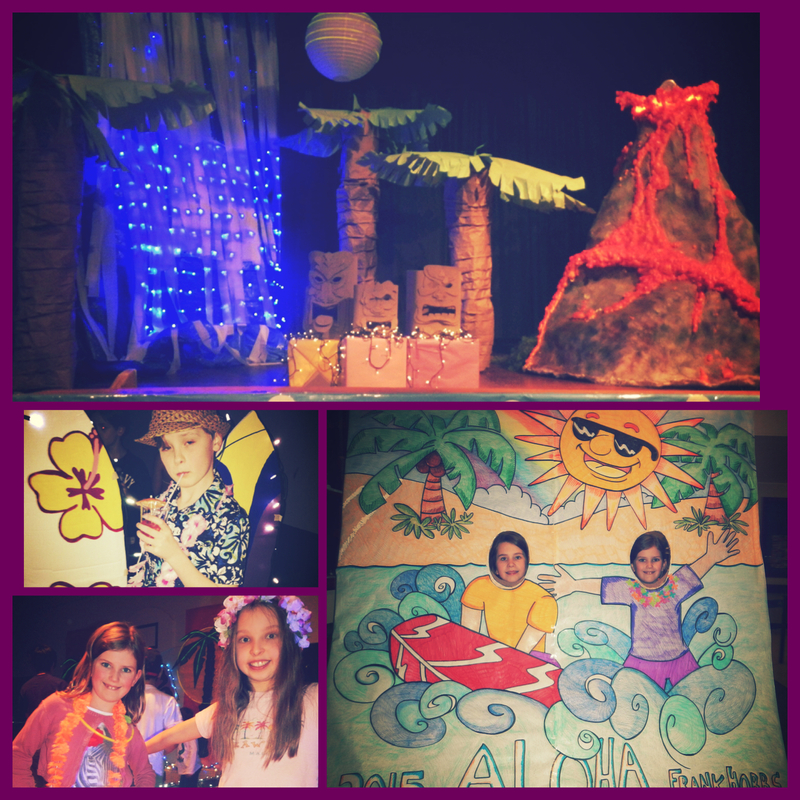 The family dance in February saw another gymnasium transformation take place before our very eyes! 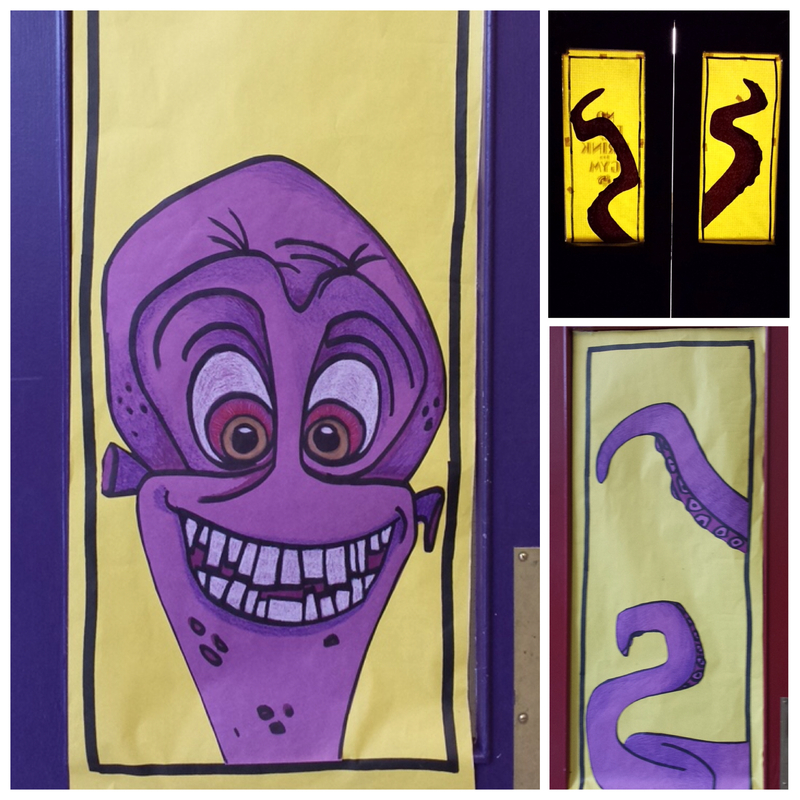 Barbara Della Siega dreamed up a creative treat for our students for a Hawaai theme for the family evening. Mrs Martens volunteered her time to get the party swinging and we witnessed an amazing range of dance moves too – what a crazy evening! The final school event of the year took place outside and in full sunshine too! The international summer fair was another great opportunity for families to come together and share in some Frank Hobbs fun. Our parent volunteers worked really hard with setting up craft and activity stations, with the clean-up also giving everyone a good workout! Next time remind me to ask for additional reinforcements! Thanks to those who were able to stick around after the fair to tidy everything up, on the afternoon and at school the following week. Our vice-principal Karian Brigidear was instrumental in enabling the day to run so smoothly and was there for the entire event. Our principal Cammy Coughlin also took time away from a special family day to meet and greet our families at the school – so amazing to have such support from our staff – and on a “non-school” day too, thank you. Tickles the Clown was a great success, as were stories from one of our GVPL librarians. The delicious Minato Sushi and stone-baked pizza from Pizza Prima Strada were also an added bonus for our families to enjoy. Some of our very own talented choir members set the stage for the afternoon – the performance of “one small voice” was both touching and memorable for all who were in the gymnasium at the start of the event. The raffle raised $2,016 and the silent auction raised an additional $823. Both these amounts will go directly towards fundraising for a new playground. Thanks to everyone who bought a ticket, sold a ticket, donated items to the auction or was able to bid on a hamper on the day. And of course a big THANK YOU to Daniela Pinto (and family!) for co-ordinating the silent auction. All in all, another great success for our school! Michelle Barkway has offered to help with the school clothing orders and Brenda Mercer and Kellie Horler will be taking over from Alicia Connorton and Cathy Boraston with the swim club organization (available for grades 3 through 5). They are looking for additional volunteers to allow the swim club to continue….please speak to Brenda or Kellie or e-mail frankhobbs.pac@vcpac.ca if you are interested in learning more. Katrina Madsen kindly dedicated every Monday lunch-time this year for supervising the work in the Garden Time progam. Our thanks also to Tara McHugh and Tricia Schaddelee for stepping up to take over this popular program, which will be run on Friday lunch times next year. If you are around the school on Fridays, please consider dropping in around 11am on lunch days to help with deliveries, or at 12 noon to help supervise some of the students in the garden. All help is really appreciated – and it’s a tonne of fun too! Poinsettia sales were also really popular this year. Parents commented that they enjoyed being able to purchase these seasonal plants and support the school fundraising, but that the late delivery date this year had sometimes made it difficult to distribute gifts before the winter break. Tara McHugh has offered to bring the poinsettia delivery program to our school again for next year, with delivery being scheduled for earlier on in the year, most probably at the Winterfest evening. Save Around coupon books were another popular fundraiser, though we noted that sending the booklets home with families caused some expectation or pressure for sales as well as putting extra work on our teachers, as they had to note down which students returned unsold books or payments. Next year we will work towards having this program mainly online, with the option of also viewing the coupon books online, in response to this feedback. At the beginning of the year, our Principal met with the playground inspector and reported that the red/ wooden play structure is coming to the end of it’s life and will be removed in the short term. We were encouraged to start thinking about planning for it’s replacement. A playground sub-group has been set up, with Kelly Finigan taking the lead on this and Lora Carroll playing a key role in getting grant applications off the ground. Ada Saab has kindly offered to help with future grant applications for the following year, and Karla Benson is also going to work with the group with selecting the contractor of choice for this project. We will be updating all our parents again at the beginning of the school year, and will also be seeking your input on the final playground design and key elements as the project takes shape. Peppers have offered a huge amount of support for our school this year. As well as providing a top prize of $400 for our playground fundraising raffle (and a buddy bench! ), they have also donated an additional $596 towards the playground fund from holding a halibut BBQ outside their store in June. Thank you Peppers! When shopping at Peppers, please remember to ask for your grocery total to be put on a gift card to the school when paying at the till (or you can pre-pay for a gift card). It’s so easy to support the school and support our local businesses at the same time! For the next school year, we are also partnering with Boston Pizza at Shelbourne – don’t forget to write Frank Hobbs on the bottom of your meal order receipt when eating out at their restaurant. We’re also excited to try out some of the Boston Pizza pasta in our pasta days at school next year…. keep sending us your feedback! Our other partners for next year are Cobs at Shelbourne Plaza and of course Finn and Izzy. Thanks to all our generous sponsors – it’s great to work together to support the school and our business community. There are so many ways that parents and staff have come together this year to make all the events and programs work so well. My apologies if I’ve omitted your name from my annual summary, but please do know you are appreciated! A few last mentions to LeAnne Golinsky for all her communications, Christine Ellsay for note taking and checking the PAC e-mail account, to Karen Taylor for her book-keeping skills and to our many dedicated classroom partners. I feel really fortunate to be part of an enthusiastic and committed group of individuals. I wish all our departing volunteers who are leaving the school this year the very best – and thanks again to anyone who has invested time or energy in the school this year. We really couldn’t have done any of this without you! The executive will hold office for a term of one year from July 1st to June 30th. A. The Chair will speak on behalf of the Council, consult with Council members, preside at membership and executive meetings, ensure that an agenda is prepared, appoint committees where authorized by the membership or executive, ensure that the Council is represented in school and district activities, ensure that Council activities are aimed at achieving the purposes set out in the constitution, be a signing officer, submit an annual report. B. The Co-Chair (emails and newsletter) will support the president, assume the duties of the president in the president’s absence or upon request, assist the president in the performance of his or her duties, accept extra duties as required, may be a signing officer, submit an annual report. In practice, this role has been the person creating the monthly newsletters, and checking/ responding to parent emails as they come in. F. In practice, we have had a role of Fundraising Officer on the executive. This person supports events and fundraising activities at the school, bringing ideas and suggestions to the executive for consideration.